With the growing use of internet, it has become essential for businesses to mark their web presence. However, a mere website is not enough. Companies need to make sure that their website meets the expectations of their growing clientele and persuades them to return to the web page, again and again. Not only big business houses, but also businesses of small size and limited clientele require Website Design Services to build their brand value and thereby, grow the business. Fine Soft Technologies help you in your endeavour to become a big brand by integrating various communication methods and offering a perfect solution. 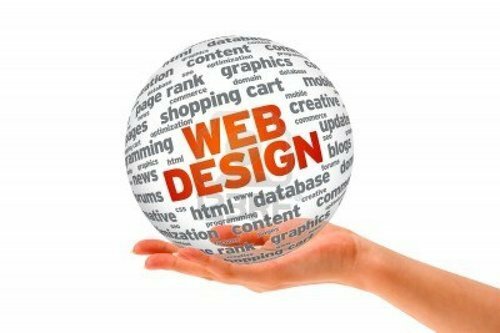 We have experienced website designers on board who deliver the best to you to meet your goals in attracting prospective clientele. Established in 2014, we, Specialised IT Squad Pvt. Ltd., are a leading service provider of IT Based Solutions,Services & support. Our Offered services are SAP ERP Services, Software Services, Mobile Application Services, Web Development Services, Digital Marketing Services and Business Management etc. We are a quality-oriented firm affianced in the provision of highly consistent and proficient services to our patrons at budget-friendly market prices. Our services are delivered to the customers in compliance with industrial norms of quality. These services are delivered in obedience with the desires of the customers by using highly progressive technology. Our technical knowledge pertaining to numerous IT related matters helps us in the delivery of highly consistent and efficient services to our patrons. The demand for services is high amid clients because of their trustworthiness, efficiency and timely provision.